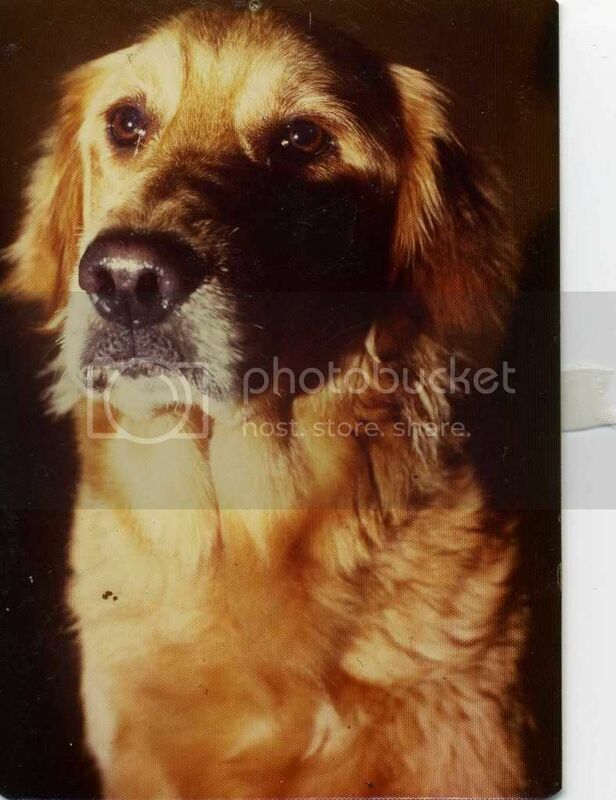 Chere is the reason our family fell in love with golden retrievers. 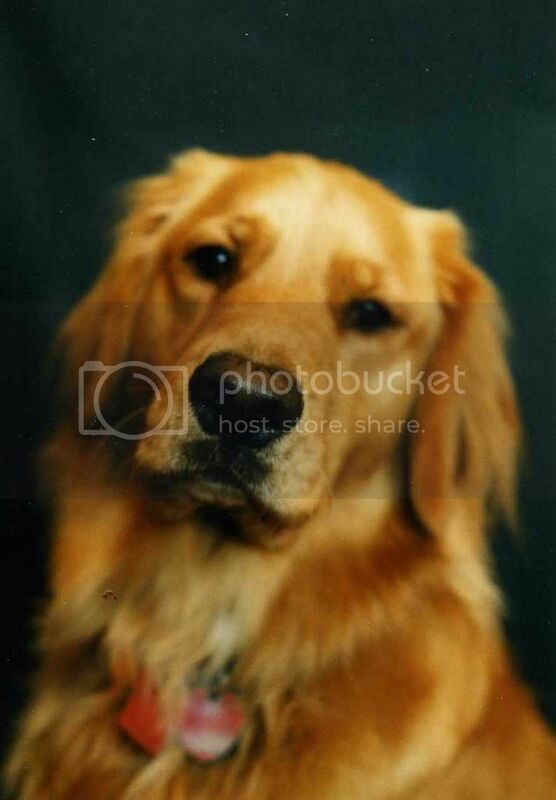 Chere was Dan's very first golden retriever. After getting out of the US Navy, Dan purchased a female golden retriever puppy. Lady Cherie Dorie was the pick of the litter. Dan was a student at Portland State University and living in a mobile home at the time. 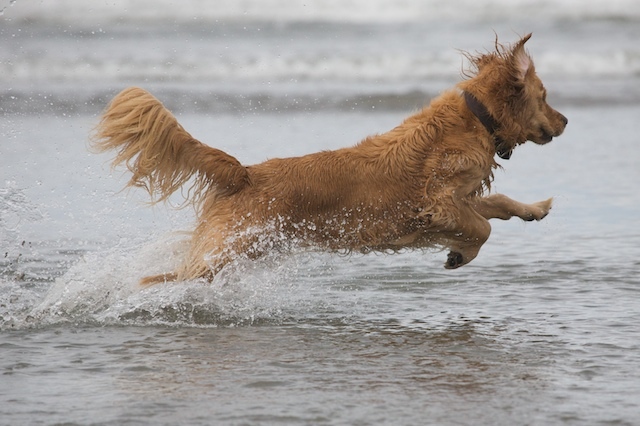 One of the reasons he chose a golden retriever was because, according to the American Kennel Club, the golden retriever is very adaptable to any living environment, including small apartments. She started her training before the age of 6 weeks and she was easily trained. She responded to both hand and voice commands. She was shown in confirmation one time and placed 4th or 5th in her ring on her very first attempt against veteran show dogs, and received a score of 175 out of 200 in the obedience ring. 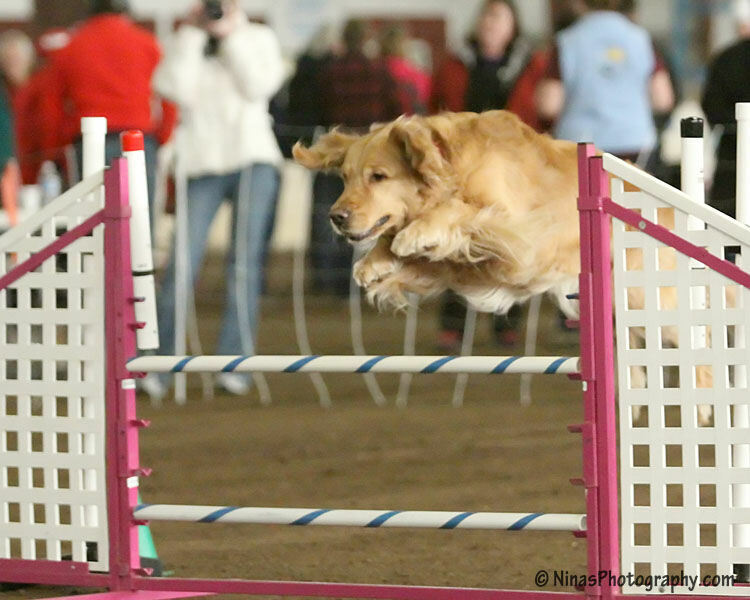 Chere was bred to Am/Can CH Eastgate's Golden Nickel, and gave birth to 6 beautiful baby girls and 5 bouncing baby boys. Chere's Butterscotch Sundae (Sundae) was the daughter of Chere and Eastgate's Golden Nickel. 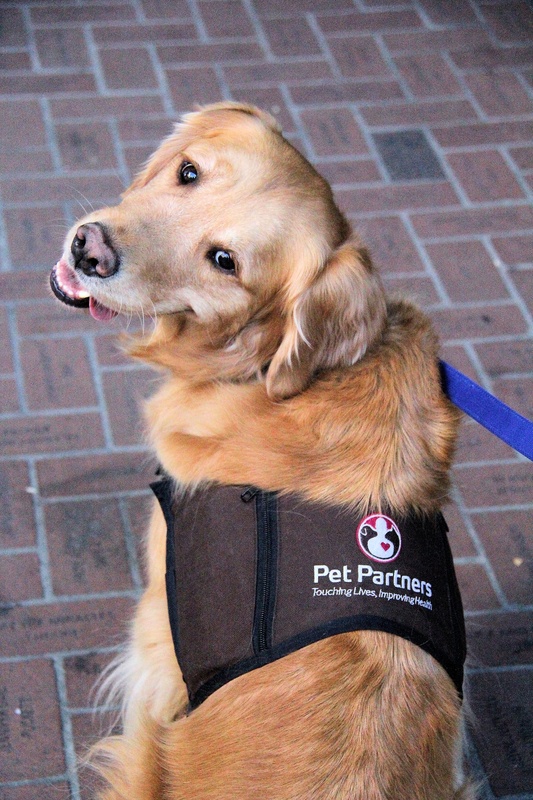 Sundae, like her mother, was a very well-behaved golden. She loved the water! When she was only 2-3 months old, she went backpacking with her mother and her "adopted" parents on Mt. Hood. She loved to swim in the cold, glacial streams near the timberline. When Shady Lady Sadie VII joined the family, Sundae was not particularly happy, but after 4 to 6 months, finally welcomed her as a member of the pack. They became great friends. Sundae lived to be just short of 14. Sadie was one of the nicest girls around. 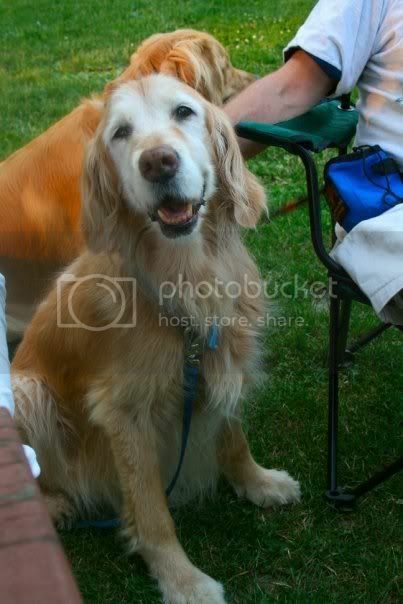 She was a beautiful golden with a very full coat. She performed in 4H with Jenn in both Showmanship and Obedience and won a few blue ribbons. Unfortunately her life was cut very short due to cancer of the spleen. It went undetected until the very last day. She became rather lethargic and was taken to the Dove Lewis Emergency Vet Clinic. After receiving a blood infusion, she responded very well and was very alert. But the internal bleeding could not be stopped. She died at the early age of 8. 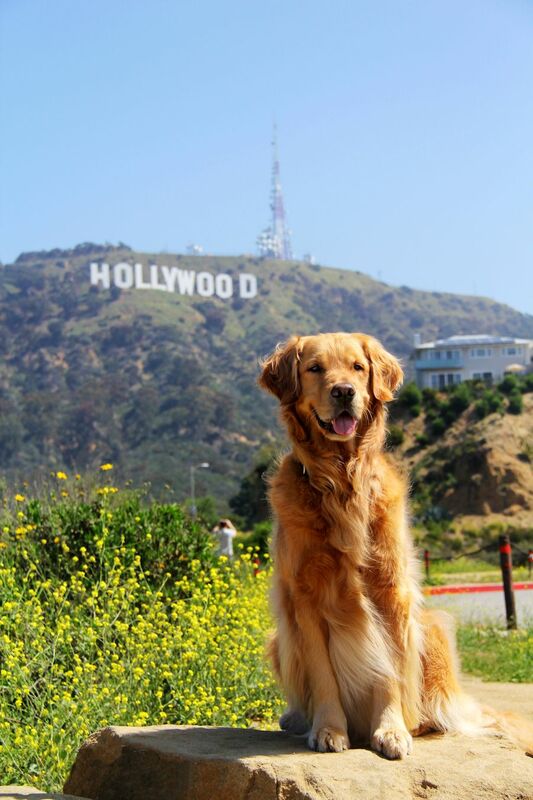 Shasta was by far the happiest golden with the greatest attitude on life. If anyone had anything close to the same perspective on life as she did, they would be very lucky. She joined the household after Sadie passed away. At the tender age of 3, she had a near-fatal bout with pancreatitis. After this episode, she exhibited a ravenous appetite and we worked with her for a long time to get her to eat more slowly. Her best friend, Sophie, however, was a very picky eater and would often leave food in her dish. Despite extra care taken to try to make sure that it didn't happen, Shasta would often help herself to whatever Sophie left behind and was constantly battling a weight problem. Like her best friend, Sophie, she did not seem real comfortable in the water (but did go swimming in lakes and oceans anyway!). 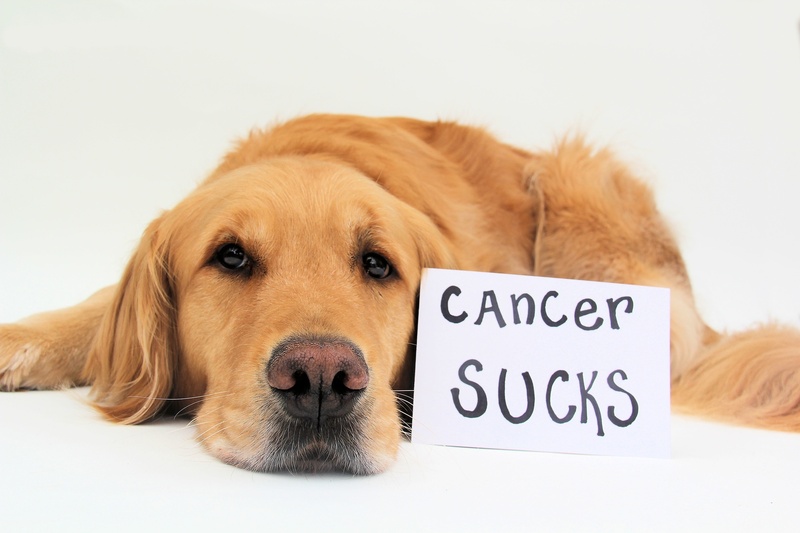 Shasta always maintained a sunny disposition even though we believed that she suffered from hip and joint discomfort. She never demanded attention, but loved every bit she got. Unfortunately we lost her in September of 2007 due to an undiagnosed internal hemorrhage. Sophie was an amazing, amazing girl. 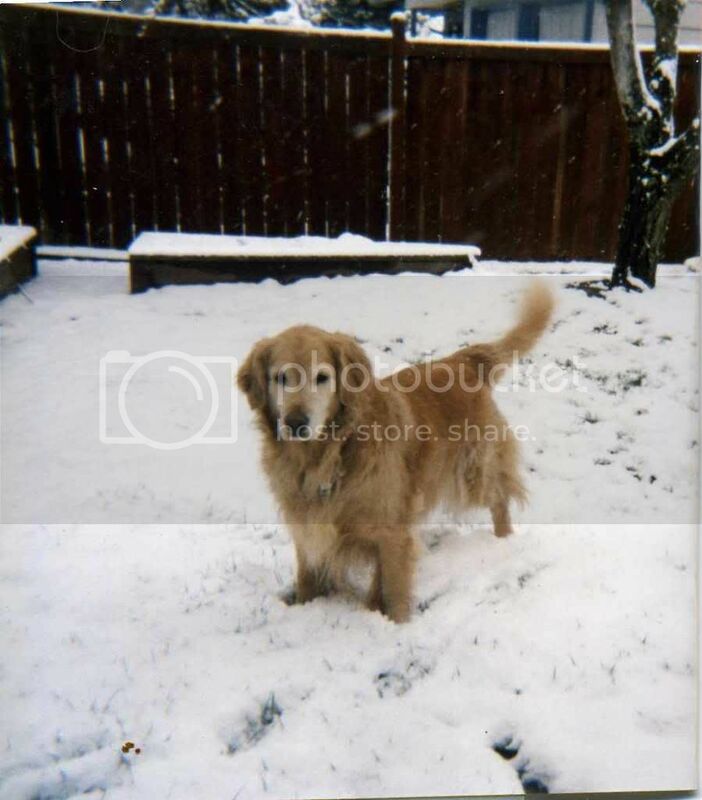 She lived for 14 years, the longest of any of our other goldens. When she was little, she would follow Jenn around everywhere and was often referred to as Jenn's shadow. She was very motherly and would often love on anything that would get near her. Her favorite trick was the "talk" command. Whenever we would try to show any of our other dogs (like Daisy or Parker) how to "talk" she would immediately show them how it was done! When she turned 12 or so, she developed a condition called Vestibular Disease, which causes one to not properly perceive one's orientation so she often felt very dizzy and walked around with a slight head tilt. She learned to cope with this and did extremely well throughout the remainder of her life. Her heart was pure gold, and that is not an understatement. 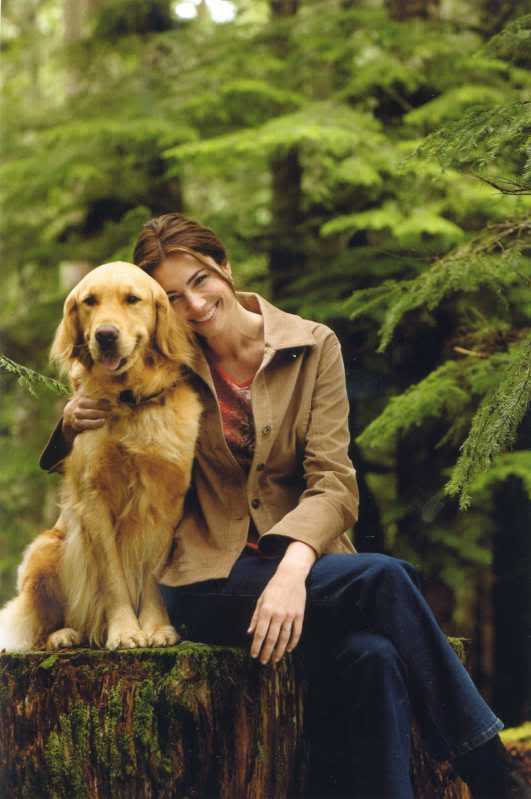 She was the most affectionate, loving dog... Sophie was and always will be special to us! 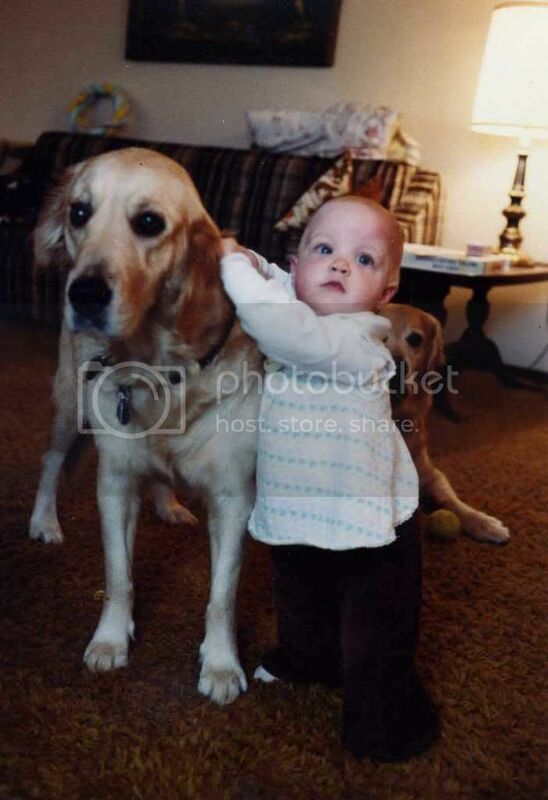 For she linked us back to some of our earliest goldens -- we got this sweet thing as a baby after we lost Sundae. And she lived to know Parker! That's pretty incredible to think about. We will always ALWAYS love and miss this sweet girl.